Tortino Mare's Executive Chef is Noé Canales. Chef Noé has built an admirable reputation as a highly skilled chef. 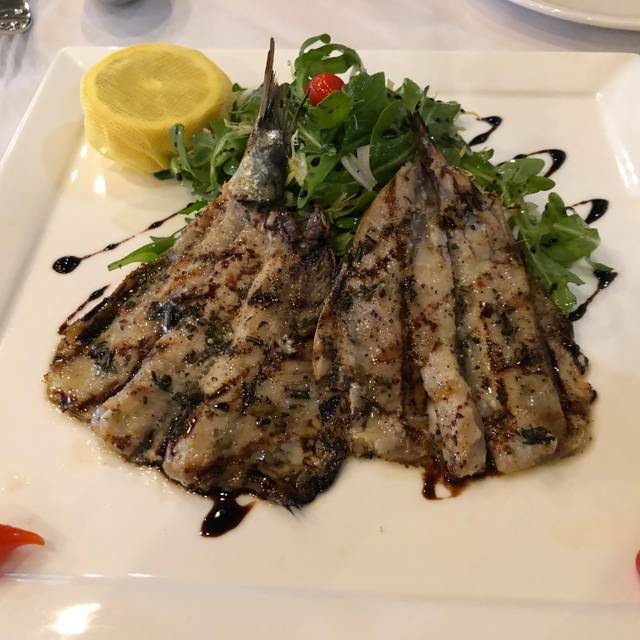 He has extensive experience and a successful track record highlighted by establishing Tortino, a well received and critically acclaimed Italian restaurant in DC. His influences are that of his heritage and his time spent in Italy where he learned Italian flavors and techniques. He is highly inspired by Italian cuisine and infuses this style into the dishes you will find at Tortino Mare. Why travel all the way into DC? Stay local. 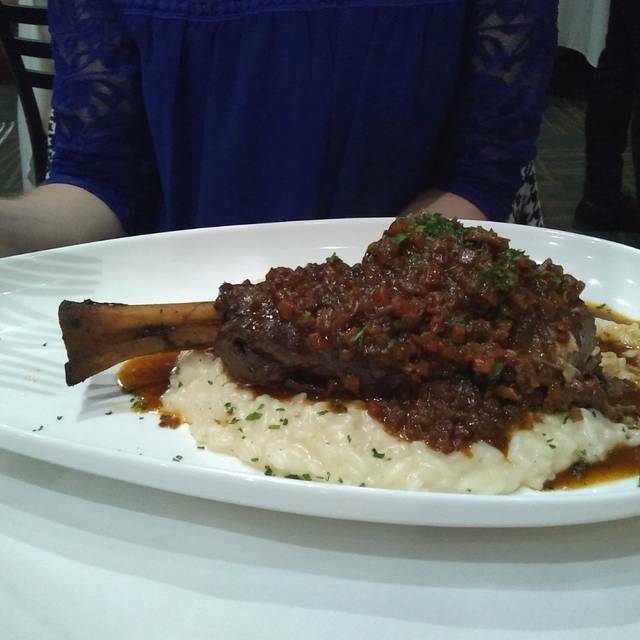 You will enjoy DC quality cuisine, flavors, and experience that Chef Noé brings to you right here in your own neighborhood. Wonderful food and service. I highly recommend it! Almost immediately upon being seated we were greeted by staff and even the chef who came out intentionally to do so. The staff was most accommodating, knowledgeable, and helpful. Our lead waiter went out of his way to provide great service and information about the menu; even with an adjustment with a mixup with one desert. 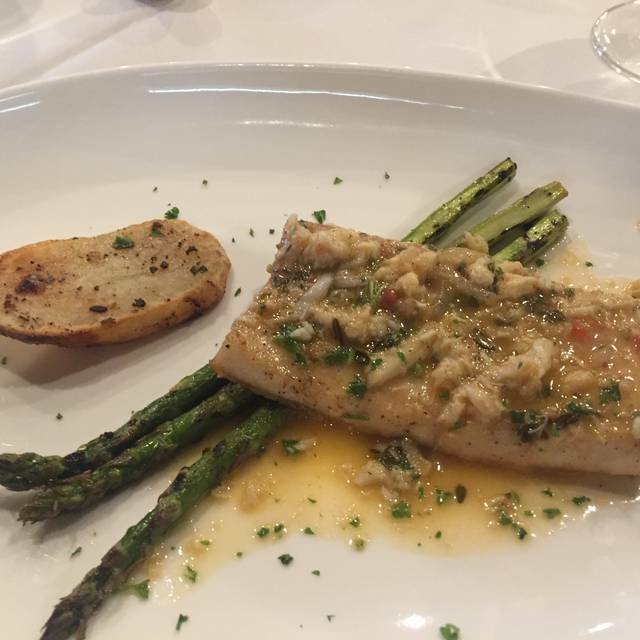 The food was great - branzino, not farm-raised, moist, buttery taste even though de-boned as requested. So also was the rigotoni meatballs. 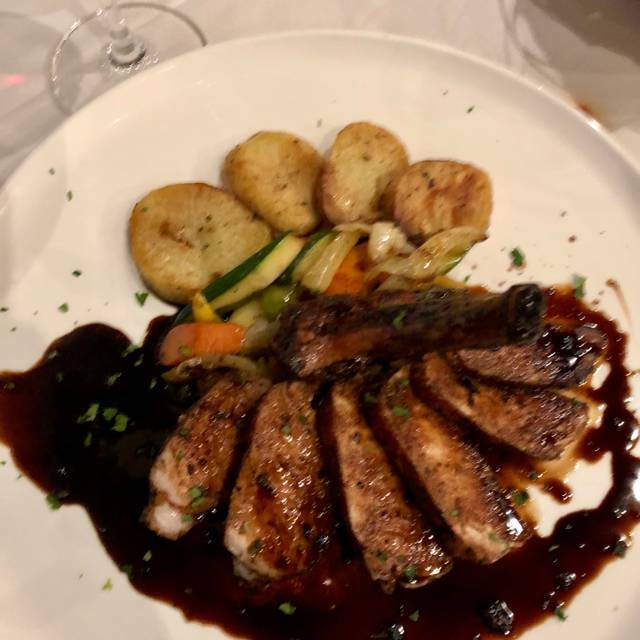 On prior visits we have enjoyed duck breast’s, maiale and New York steak. Tortino Mare is a restaurant treasure offering a varied menu, a cozy ambiance and friendly service. If you appreciate fine dining you will be pleased. Great menu, excellent service. Very varied choices on the menu; we had veal shank and lamb ravioli, and both were terrific. Very attentive service. Tortino Mare is a true hidden gem. What a wonderful experience! The wait staff is so polished and attentive without being pushy. 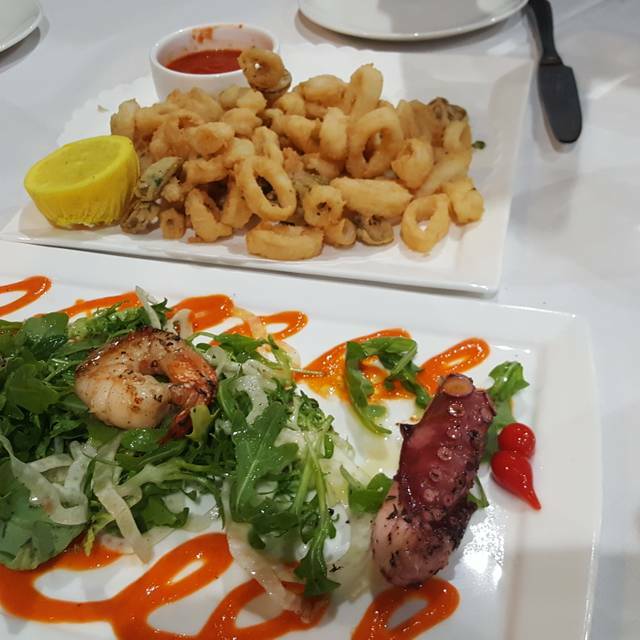 The calamari is the best I have ever had. 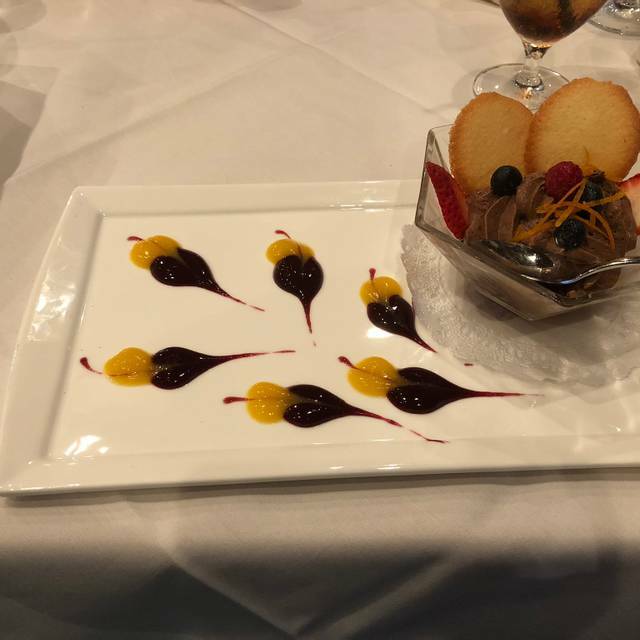 The desserts are works of art! Bravo! As usual, the food was superb and the wait staff quite welcoming and friendly. Upon request, the waitress still did not speak loudly enough in the very noisy restaurant when offering the specials. Very accommodating and much better when we requested a different person to provide the info. Wine was not delivered by the time our appetizers were served, but was immediately served upon request. Unfortunately, they mixed-up my pinot origin with my friend's chardonnay. All in all, another great dinner, but I do expect to be able to hear the specials clearly and have the correct wines delivered to the right diner. Easily fixed and hope they do so. Still highly recomnend. Excellent food and attentive, knowledgeable staff. Lovely first visit and looking forward to going back...a hidden gem! Tortino Mare is an non pretentious local gem. Consistently providing fine dining in a quiet relaxed environment. Excellent food and excellent service. This restaurant and their staff are top notch. Fresh seafood and hot bread. 4th time eating here. Flawless food!!! Enjoyable, relaxed dining experience! Ambiance plus delicious food and excellent service! This gem is hidden away in a tiny shopping center, just down from a laundromat. But don't let that dissuade you. It has an attractive and spacious bar, a couple of dining areas, including one with a view of the colorfully tiled wood (I presume) fired oven, and a menu ranging from pizza to fine fresh seafood. So glad to have finally visited after hearing so many positive reports. Service was excellent, servers obviously well trained. Ambiance lovely...already made reservations to return with friends! Best Italian food venue I have experienced in this area. The mark of a good restaurant is how they fix the things that inevitably go bad at every restaurant. We had a salmon that was slightly overcooked. The chef came to talk to us about how we like our salmon. Very nice. He fixed a problem. Also had a Linguini Frutti di Mare. It was delicious. Salad and tiramisu were fine. All the dishes looked beautiful which helps the dining experience. They use a team service approach which resulted in excellent service. Three less minutes in the oven for the salmon and it would have been a five-star review. We are so glad we found this place. The food is excellent. I knew right away it was Northern Italy style because we lived in Italy and its quite different than Southern Italy. Both delicious in their own right but it was obvious the chef was trained. Each dish was so creative and a pleasure to look at and a pleasure to eat. Now at the top of our favorites. We will be back again and again. If we could offer one loving suggestion. The overhead lighting is too harsh and needs to be put on dimmers with a little bit brighter candle on the tables. You know its pretty good if I have to pick that nit. Thanks for a wonderful experience. The food was superb and the waiters were very nice. We will definitely come back and also recommend it to our friends! This is our go to place for any occasion or just to go out, eat great food and enjoy ourselves. I always feel I have been served well when I leave. This is a great place in Manassas. This has become one of our favorite restaurants. 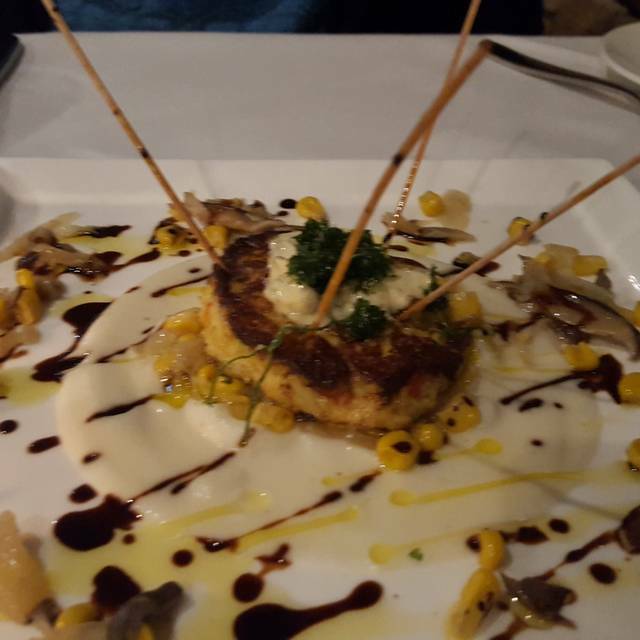 Tortino Mare is a great value for of the delicious entrees they offer. The staff is very responsive and professional. Highly recommended! The restaurant closed due to a little snow on the ground and never called to inform us. We arrived there only to see a sign on the door. We had a delicious meal at a reasonable price. Everyone enjoyed their food. The waiter was happy to help suggest a bottle of wine or help you decide what to order. The presentation of the food was great. The food was hot. Wasn’t as good as our first visit, but still enjoyed our time there. restaurant feel. The noise level was a high but ok. Service was really good. The ambiance of this place was warm and welcoming. The food was delicious and the service was impeccable. Definitely coming back for more gatherings. Thank you. This was our second time there, this time for Valentines and it was amazing! My wife and I enjoy their food and the wonderful staff. They always make me feel more than welcome. Love the place. The food was great! Menu had variety of options. Service was very good as well. Great experience! We will be back. First time there and pleasantly surprised how good the food was. 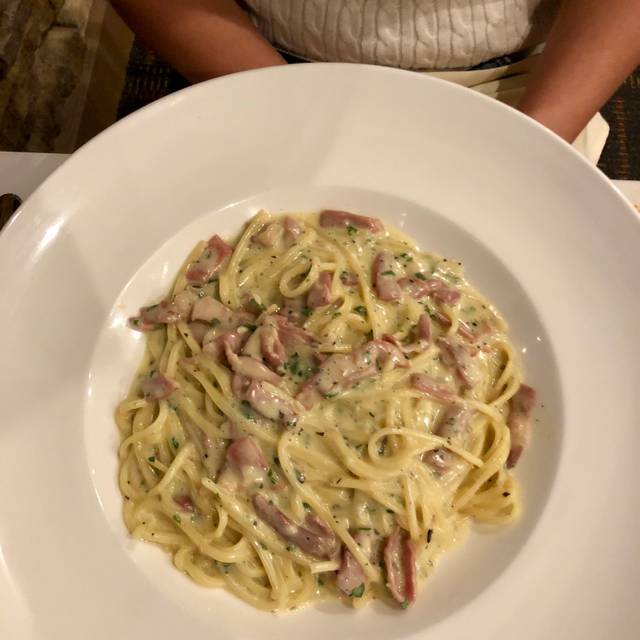 would suggest adding another fresh pasta dish to the menu. GREAT food. Will certainly return. Another great experience. Had the Tri-color salad and Burrata salads, followed by Veal Marsala and chicken for main course. All were excellent. Desert: Semifreddo and Chocolate Salami. Both highly recommended! We hadn’t been here in a few months, and this visit was not up to the standard of our previous meals, which were outstanding. We were there for an early Sunday dinner, and it seems like many of the regular staff were off (it was Super Bowl Sunday). Last time I was there we were offered a glass of Prosecco while we looked at the menu, that has apparently been discontinued. 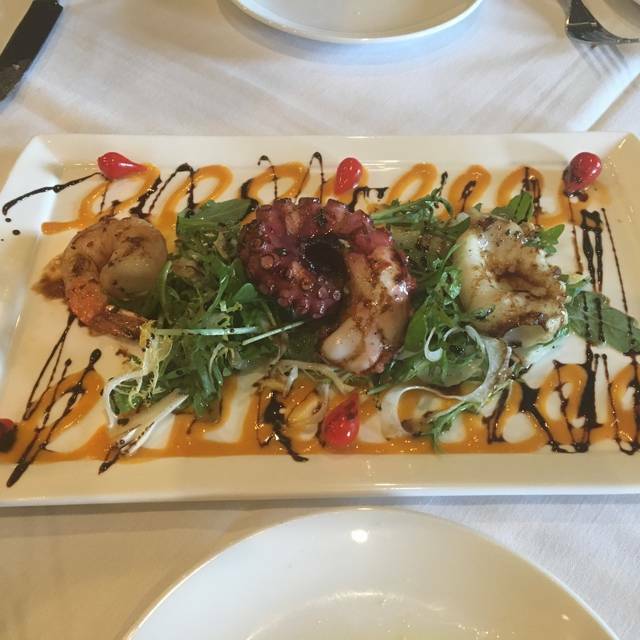 I had the grilled octopus app, which was very good. My fish special was ok, but was floating in a watery liquid that may have come from the side vegetables. Service was fine, but not as attentive as I remember. We’ll try this place again on a more “normal” day, but I was a little disappointed in the experience this time. Food and service were both excellent. The only thing lacking was proper lighting. The high overhead lights were glaring. Wall sconces or dropped lights would greatly improve the ambiance. Even so, this is a hidden jewel and we will be back! New on menu was a duck and roasted pear salad. An unexpected delight. New servers did an outstanding job. Thanks to chef and kitchen staff for another enjoyable meal. My daughter and I went for a Friday lunch at noon. At first, we were the only ones there and the restaurant was cold; we could hear them crank the heat up and it did get warmer. The service was good, although the waiter had to go back to ask the cooks the answer to a few questions we asked before ordering. Food was good and well presented, however, this place had no ambiance! The waiter said the restaurant was more popular in the evening and I think with more people there and by candlelight it would be much nicer. Pricey for lunch.